Are you tired of being told by others—self-help books included—what you should do? Drs. Allan Zuckoff and Bonnie Gorscak understand. That's why this book is different. Whether it's breaking an unhealthy habit, pursuing that dream job, or ending harmful patterns in relationships, the key to moving ahead with your life lies in discovering what direction is truly right for you, and how you can get there. 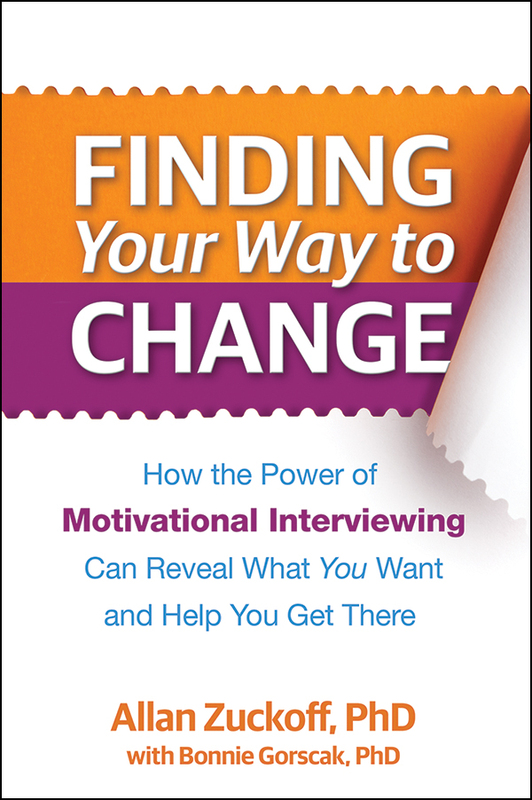 The proven counseling approach known as motivational interviewing (MI) can help. Drs. Zuckoff and Gorscak present powerful self-help strategies and practical tools that help you understand why you're stuck, break free of unhelpful pressure to change, and build confidence for developing a personal change plan. Vivid stories of five men and women confronting different types of challenges illustrate the techniques and accompany you on your journey. MI has a track record of helping people resolve long-standing dilemmas in a remarkably short time. Now you can try it for yourself—and unlock your own capacity for positive action.